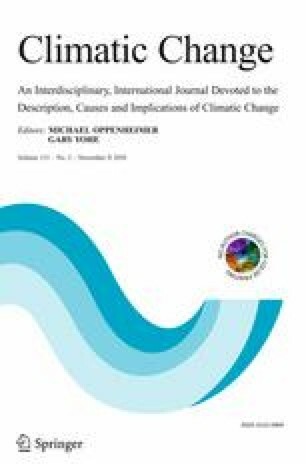 Research on using climate information has often focused on the interaction between users and producers and the technical fit of information for real decision-making. However, due to resource and capacity constraints within both user and producer communities, this approach will not always be feasible or indeed necessary depending on the decisions at hand. These contexts have been relatively under-explored by scholars, and this paper provides an original empirical contribution using three case studies of sub-national governments in India, Kenya and Uganda. In the paper, we analyse how social learning supports changing the usability of climate information and the role of intermediary organisations in these processes. Firstly, the paper shows that intermediaries often choose to build the commitment to project aims rather than using climate information as an entry point to working on climate change, and this allows them to instigate challenging learning processes. Secondly, there are barriers to iterative processes and critical reflection with government stakeholders but these processes can gain traction when built into institutional practices such as formal M&E processes. Lastly, social learning can broaden the framing of climate change from a single sector issue to a multi-sectoral one. We conclude by arguing that bringing together scholarship on social learning with that on the usability of climate information can deepen understanding of the dynamic context in which the information becomes usable. The evidence from the case studies shows that learning processes can alter this context across scales. A correction to this article is available online at https://doi.org/10.1007/s10584-019-02392-y.